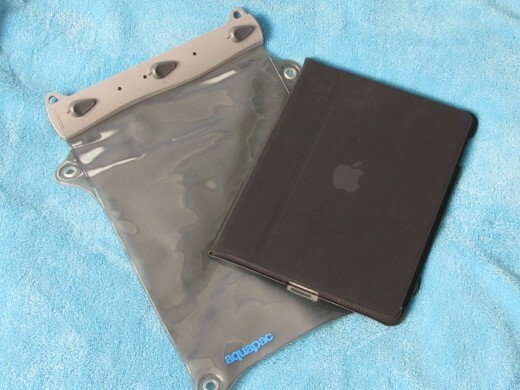 What good does the waterproof bag do if you have take the electronic out to use it? Lets face it- the salt water will win. Not only is it extremely corrosive on any exposed metal each splash is full of sand particles. 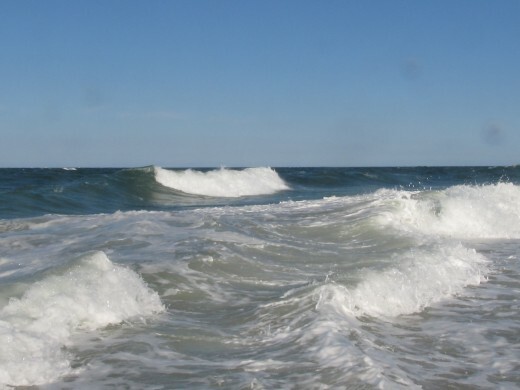 Even if you stay out of the surf you risk the sand from even the slightest gust of wind. Now you can double bag everything in zip lock baggies and keep them in your beach bag, but then why bring them in the first place? Unless of course you enjoy carrying the extra weight. I knew I had three pieces of electronics that I would likely use on vacation that I dearly loved and did not want to get ruined. My iPhone, my iPad and my camera. So my search began. I researched, I purchased, and with much hesitation I tested. I am happy to report all my electronics survived the vacation. I thought I would share my findings and hopefully save you some of the research time. Full use of touch screen while the iPhone is inside the case. Even fits with my Speck cover on the iPhone to give it impact protection. 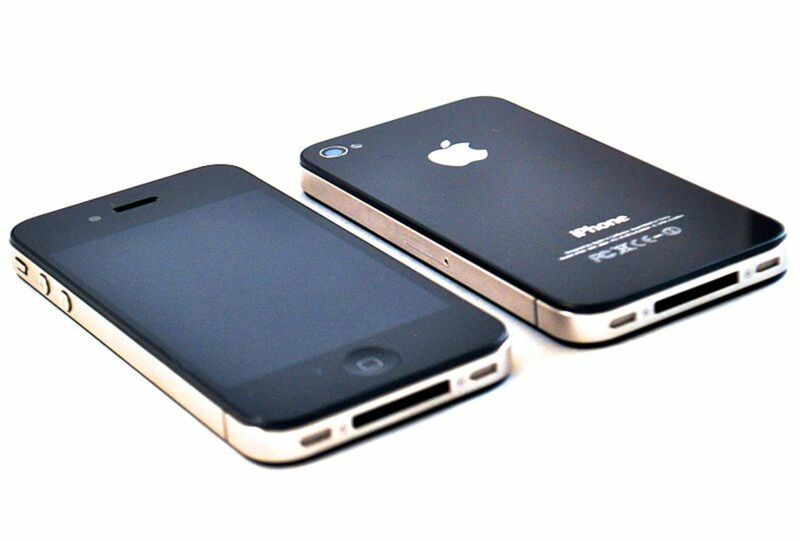 The case is designed to allow for photos to be taken while the iPhone is protected. 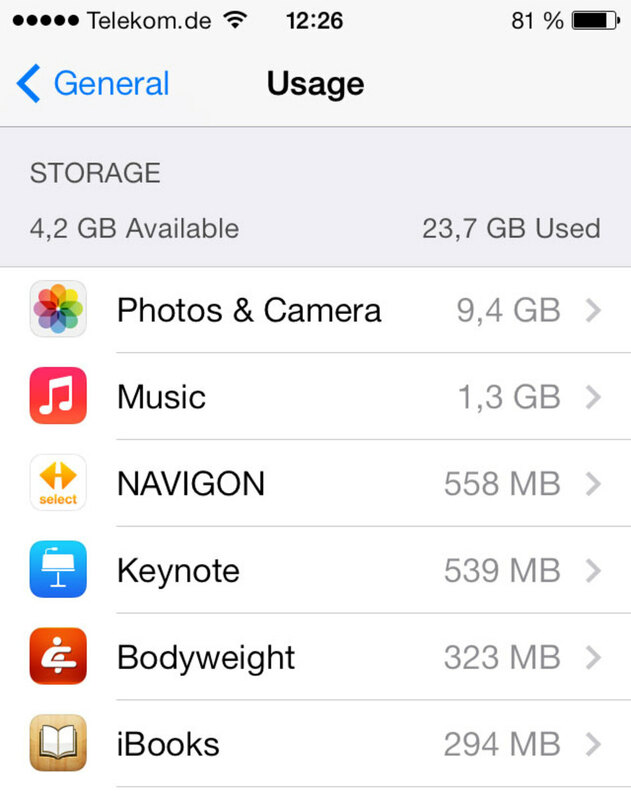 Lets start out with my iPhone. I waited for three years for this thing to finally be available with my cellular provider, I really did not want it to get ruined. 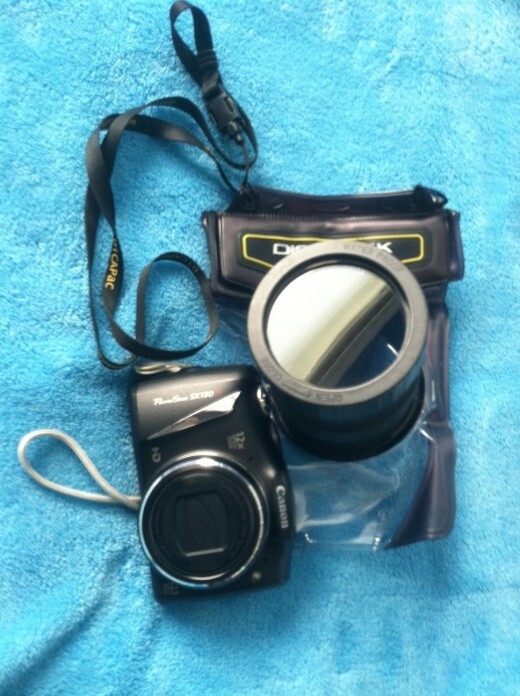 I use it for everything, and on vacation I knew would be my "go to" camera for all the quick snapshots and video clips. I wanted it to be accessible, and the case had to be something I could shoot photos and video through without losing a lot of quality.I did not want to have to open the case to use the touch screen and I also wanted it to actually fit the phone. I found out very quickly that those three things really narrowed the field down. That is when I found the Aquapac. This is a soft case that allowed me to slip my iPhone inside while still wearing its hard case so it was still protected. 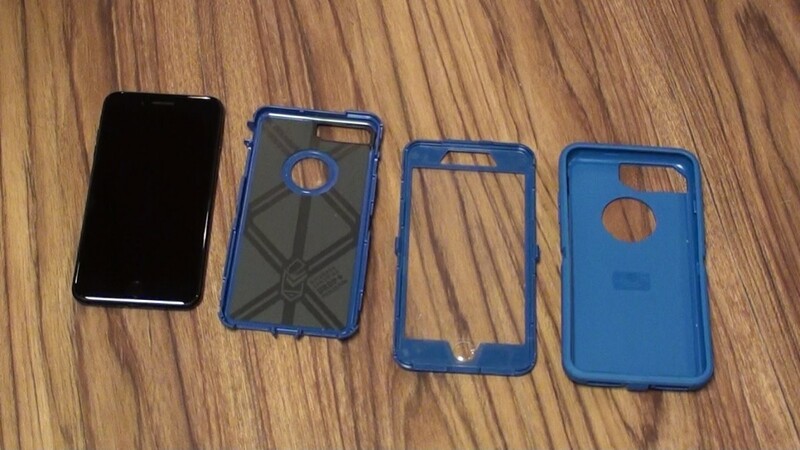 Now, my Speck case is fairly low profile and someone using an Otterbox or something equally as ruggedized may find it to be too tight of a fit. 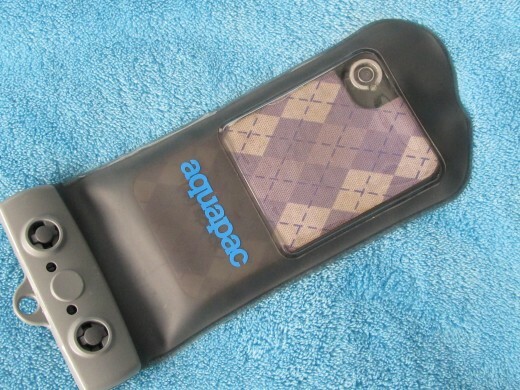 I would suggest getting a thinner case as well and still using the Aquapac. There is a rope lanyard with a cord lock to help you keep track of it, and they have small descicant pouches that you can purchase for a few bucks more to keep the humidity down inside the bag so the condensation will not damage the phone either. 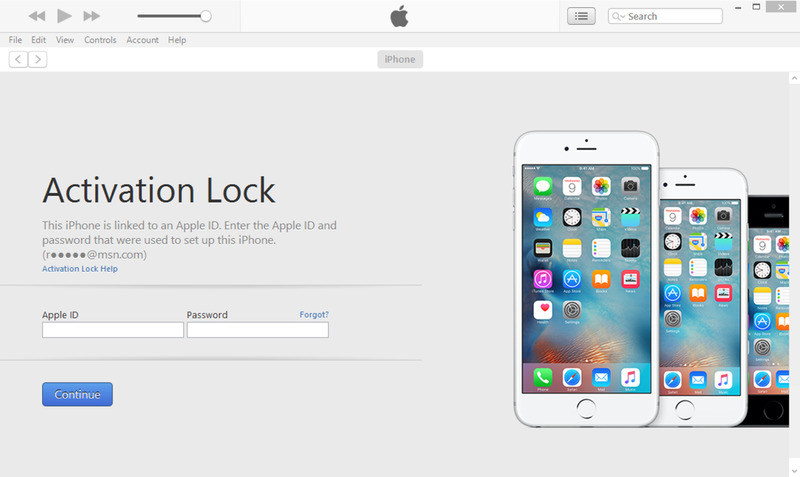 You can make a phone call, listen to an mp3 take a photo all without issue and all without removing the iPhone from it's protection in a hostile environment. 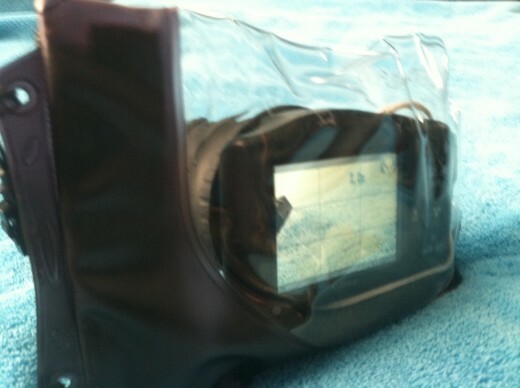 In 2010 I purchased a waterproof pouch for my point and shoot camera. 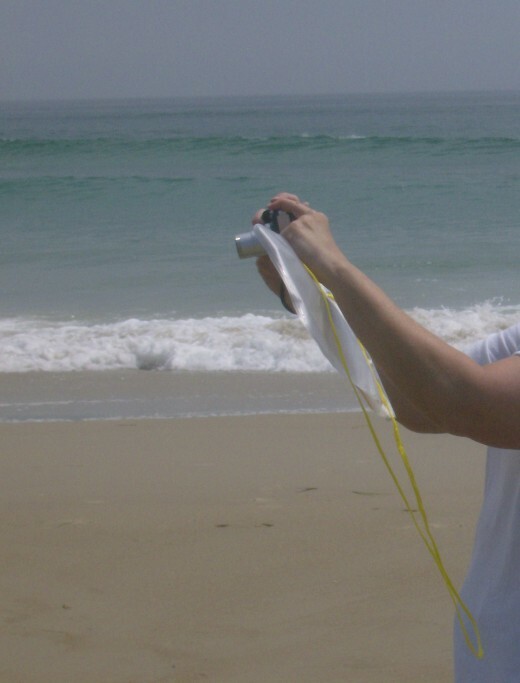 Great for stuffing it in a beach bag to take to the shoreline, not so great for protection if you actually wanted to use the camera. (since you had to remove it from the storage bag) On the last day of vacation I was taking a photo and got splashed, not submerged, but one splash of salt water filled with sand was all it took. I quickly grabbed the memory card out of the camera and wiped it off the best I could, ran back to the rental, cleaned it some more and got it in the laptop to save the images. Thankfully I was able to salvage the photos, but the camera needed to be replaced. For the 2011 trip I bought a Canon Powershot SX130IS quite a bit more camera then my HP point and shoot, so I was a bit nerous after my last beach experience. I settled on the DiCAPac wp-610 after checking compatibility charts and reviews and I could not have been more pleased with the photos. It took some getting used to. Changing the settings on the camera was not as quick and easy as it was without the case, so I will admit I usually set them and left them. But the zoom and the shutter worked just fine so off I was to stand in the waves and get some great close ups of the kids on their boogie boards. Even some underwater pool action! Yes, I did submerge my camera! I am pleased to report that the zip lock closure with the double fold and the double velcro did the job and I am still using the camera today. For those of you using a DSLR camera, check out the Aquapac case as well. Sadly, it was just too large for my Canon- but I loved their iPhone case. Ok, so this was not my biggest concern. However, knowing my kids and the fact that they enjoy the beach, I knew I would be sitting on the beach chair quite a bit. I love my kindle app and had downloaded several good books I was looking forward to reading. I did not always want to have to read on the deck, so if I was planning on taking the iPad to the shore I was going to protect it. 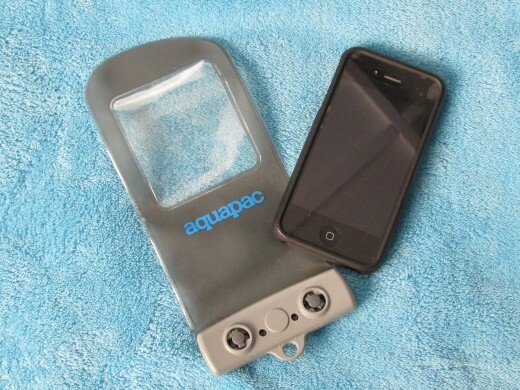 I was so impressed with the Aquapac for the iPhone that I purchased the Aquapac for the iPad as well. 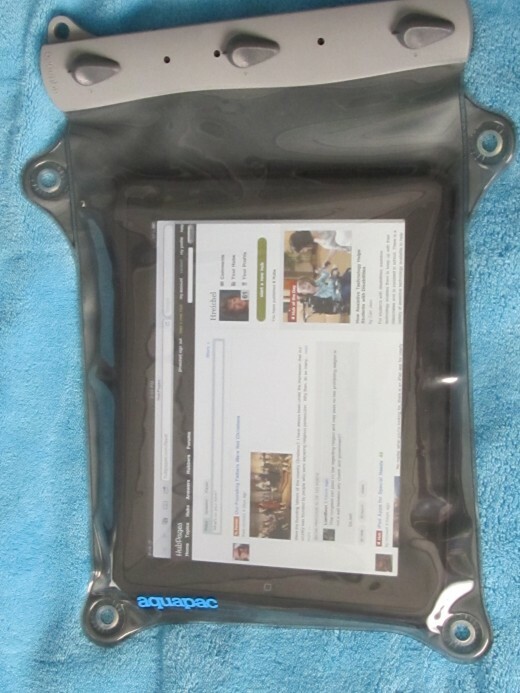 I have used this case to protect my iPad while the kids were in the sand, in the pool, and even when it looked like rain may threaten. You can use it with many styles of cases with a little room to spare. I use the iPad cover made by Apple with the flip screen without issues, as well as a Griffen Technologies hard plastic case from time to time. The touch screen works just fine and you can hear a movie or a web page through the case with very little distortion of sound. The corners are softened so there are no rough edges while you are holding your device. I woud imagine that there is enough room inside for most of your small tablets if you have a Droid or Windows device rather than Apple. 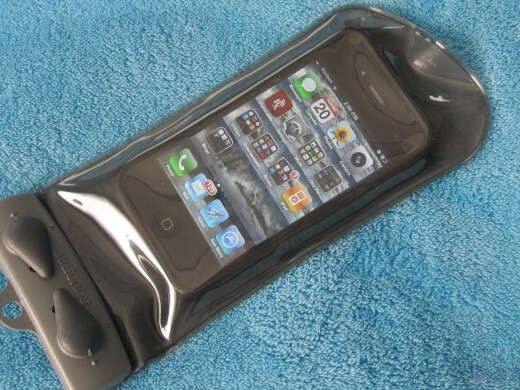 Like the iPhone case this is rated to be submersible. I am guessing this would be a great thing for all the bathtub readers in the world. The other great thing about this particular bag, is that when you are not using it to take your iPad you have one really great waterproof bag to throw an extra shirt in or take any other number of items you prefer to not get wet. I hope you enjoyed this Hub and were able to gather a piece of information or two to help you keep taking photos and enjoying your gadgets safely while on the beach.